For those who don’t know, milkshake is a sweet and refreshing drink that’s usually made from milk, cream, and natural flavors or sweeteners such as butter, caramel, syrup or chocolate. A couple of years ago, there are three types of milkshake only which are the hand-blended, the milkshake machine, and the soft serve mixed with syrup. But in recent time, to meet busy modern life requirements, there is one more type – the premade products. 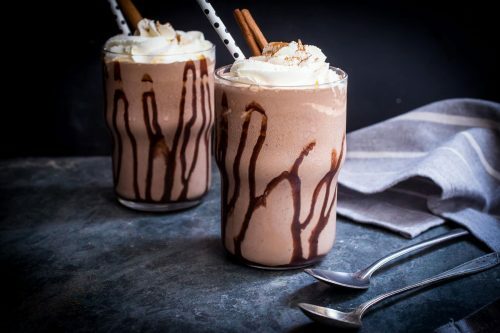 In those four, the hand-blended milkshake is the traditional way that its key ingredients are ice cream and syrup flavors (such as chocolate, malt and malt flour). The best thing about this type is you can flexibly mix and create different formulas, which means it’s much more diverse than the milkshake machine. Sometimes, a few formulas don’t ask to add ice cream at all. Besides, in Latin America and Cuba, there’s something called batido – a kind of hand-blended milkshake that’s added fruit ingredients. Fun fact: In Nicaragua, milkshake is called malteada leche. But in United States, we usually enjoy this tasty drink with crackers, candy bars or alcoholic beverages. Now, might you wonder why the machine-mixed milkshake was born when its taste isn’t as nice as the hand-mixed. Though such drawback, the best benefits you will get from this type is it can serve a huge number of people. Or, in other words, it takes less time to prepare than the hand-mixed. In fact, this type is preferred a lot in many restaurants. In terms of the soft cream syrup mix, as its name implies, two essential ingredients for this is soft cream or cold milk and syrups like fruits or nuts. Like the machine-mixed, this type is commonly served in some restaurants or fast food shops. Last is the milkshake powder. Frequently, this milkshake is packed in bottles and has a volume of 330ml, 500ml to 1 liter and available in many convenience stores in North America and United Kingdom. In each pack, there are milk mixed with sweeteners and manmade syrups. Okay, the reason I want you to get such basic information about milkshake is to let you know that among those four types, the hand-blended is the most delicious that’s worth trying. 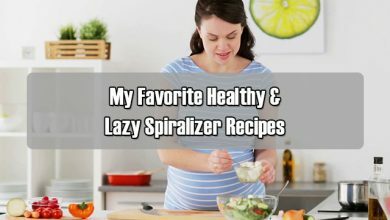 Particularly, those who love trying unique formulas, doing it yourself is the best way to enjoy. And in this article, I will share you some – from the most basic formulas to some rare ones. Don’t miss out! 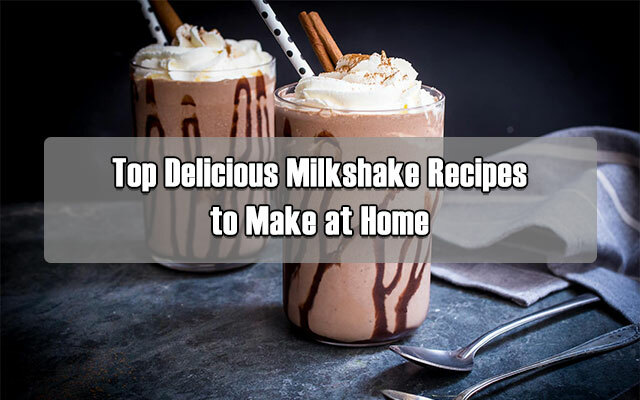 Step 1: Put the ingredients of fresh milk, chocolate cream, chocolate syrup, vanilla powder into the blender, add 1 shake of ice cubes and mash them down. Step 2: The reason I recommend you to choose a chilled milkshake chocolate glass is to help keep the drink last longer and also preserve its delicious taste. Now, pour the milkshake mixture into the glass. Step 3: Next, add about 40g of whipped cream on the top and sprinkle with some chocolate chip to decorate. Now, just ready to serve! With these simple instruction, you will have a delicious chocolate milkshake. The bittersweet taste of the chocolate-milk blending will make a feeling of floating. If you are a die-hard fan of sweet food, this wonderful drink is incredible. To get a delicious chocolate milkshake, the key is the amount of ice. It must be not too thick, nor too thin. So, commonly, you should use a shake for a glass of 380ml. Might some people think that this chocolate milkshake formula is pretty simple. 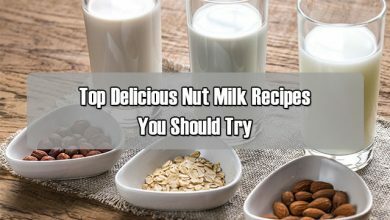 But the most important thing is the standard formula to taste not too sweet or too bitter by the amount of chocolate and milk. 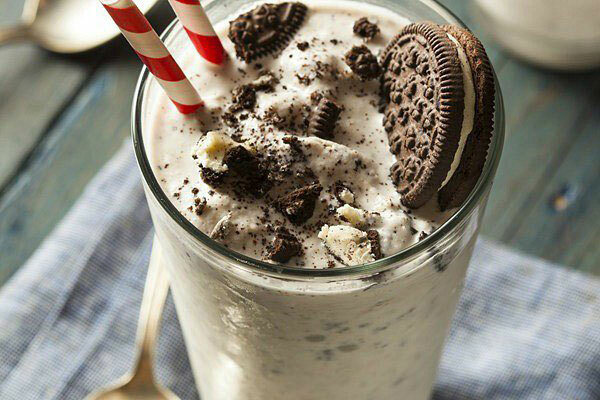 Cookie Milkshake is a combination of these ingredients: Oreo, fresh milk and vanilla ice cream. This cool and fatty drink is very attractive to the sweet girl and the truth is this formula is covered in many coffee shops. So, why don’t make your house a mini shop to serve yourself? Or, simply impress your lover, husband, friends or family with it? Step 1: Cool the beverage glass to keep the taste of your Cookie Milkshake longer. Step 2: Give all ingredients of fresh milk, vanilla powder, cream, Oreo and ice cubes into a blender. The reason I ask you to add ice cubes together with other ingredients is to let the mixture be smoothed and tastier. Besides, to get the best flavor, my advice is choosing the vanilla Oreo instead of the chocolate or the cold cream. Step 3: Mix it up. Squeeze about 40g of whipped cream on top, sprinkle with crushed Oreo to decorate. 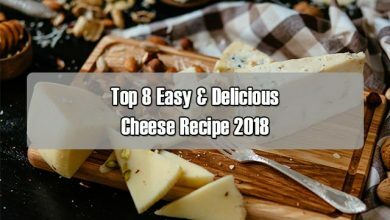 Cookies Milkshake is not only very easy to do, but also helps you make advantage of those ingredients that have been staying in the refrigerator for a long time without chances to use. Oreo is a bit boring when eating them alone, HOWEVER when mixed with fresh milk to create a delicious drink, it’s great. This is a mixture of Strawberry and milk. Along with that, there are vanilla ice cream and a little Strawberry Syrup to create a delicious sweet-sour flavor and an attractive pink color by a blender. I particularly choose this formula to add to this list because strawberry is a popular fruit that’s favorited worldwide by many people. 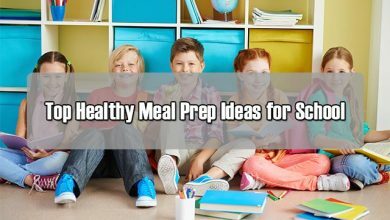 Or, in other words, it’s not a selective food so, chances it might be another delicious prep for you to try out. Beside of its interesting taste, strawberries also provide many vitamins and minerals, which is especially good for the skin and helps to brighten it effectively. So, shake it now! Step 1: Cool the beverage glass to keep the taste of your Strawberry Milkshake longer. Remove all stems of strawberries, wash them and put in the freezer compartment of your refrigerator until they are frozen, which is also my tip to help the drink tastier. 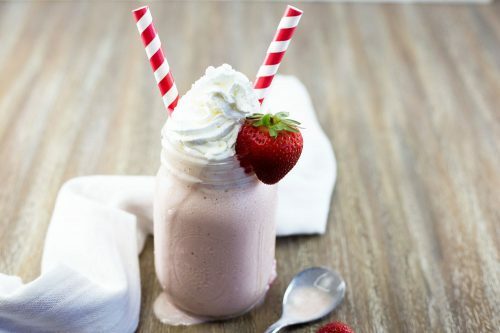 Step 2: Put the fresh milk, 20g of vanilla powder, vanilla ice cream, 100g of fresh strawberries, 30ml of strawberry syrup and finally, a shake of ice cubes into a blender. Blend them up! Step 3: Pour the strawberry milkshake mixture into the glass. Top with 40g of whipped cream. Now, to make it more attractive, you can similarly decorate to your Milkshake with a waffle and some strawberries or waffles. It is not difficult to make such delicious Strawberry Milkshake, sweet and sour, delicious and refreshing. Just a little variation along with your favorite fruit, you can have a glass of drink that is seductive from color to taste. Strawberries are more aromatic when milled with milk, so you will smell a light, fresh and natural scent. Matcha Milkshake not only brings a delicious taste to lighten up your day, but also comes up with attractive green color to selfie with. This is surely a new and unique drink to melt your heard and feel addicted right from the first time enjoying. To make it, we just need to prepare matcha powder, fresh milk, honey, vanilla extract, whipped cream and then a simple formulation. Again, as mentioned above, the best thing when you hand blend a milkshake is that all of its flavors can be adjusted flexibly by reducing their amount depending on your preferences. But here is the basic formula to make a tasty Matcha milkshake. Step 1: Orderly add all ingredients including matcha powder, fresh milk or coconut milk, honey and vanilla into the blender. Step 2: Add vanilla ice cream and ice cubes, then cover the lid, operate the machine to mix them until you get a smooth mixture. Step 3: Pour it into a glass, apply a whipped cream over it and sprinkle with some matcha powder to decorate the drink. And that’s it, pretty easy, right? 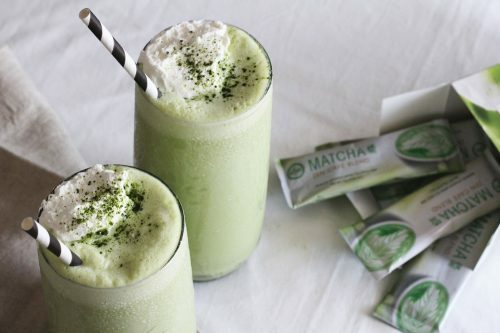 – The quality of matcha Milkshake depends on the quality of matcha powder. Therefore, I recommend using the high-quality kind to help ensure the taste of the drink, as well as safe for your health. – When making Matcha Milkshake, if you use a specialized blender with high capacity, you can add ice cubes directly to it, but vice versa, you should mash them by hands before adding to ensure your blender can last longer. That’s it! Now, it’s your turn to get straight up to the kitchen and make some delicious yet easy drinks to surprise your family. Hope you have a nice weekend!